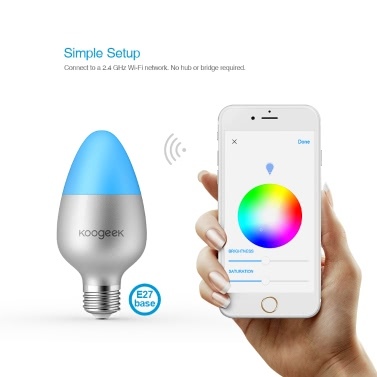 Koogeek Smart LED Light Bulb is a Wi-Fi enabled LED light bulb that uses only 8 watts and delivers up to 500 lumens of light with a color temperature from 2700K to 6000K. 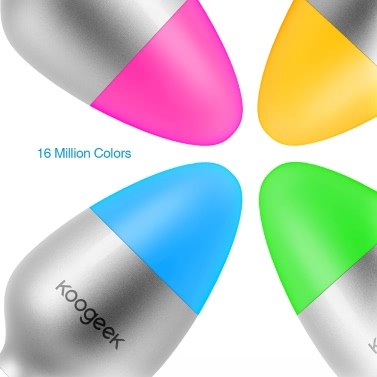 The Koogeek Home app offers 16 million colors to choose from. 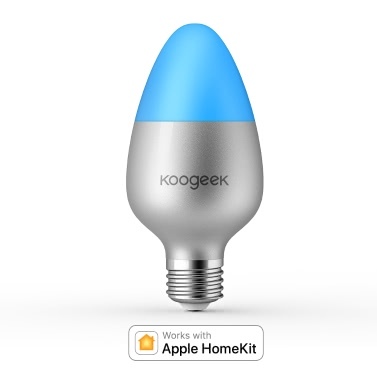 After screwing in your Smart Light Bulb, configure it from the Koogeek Home app and connect to a 2.4GHz Wi-Fi network. 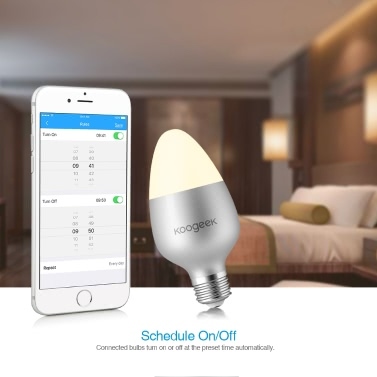 You can remotely turn connected light bulbs on or off, change colors, brightness and saturation, set schedules and timers, monitor the working status, and create custom scenes from the app. 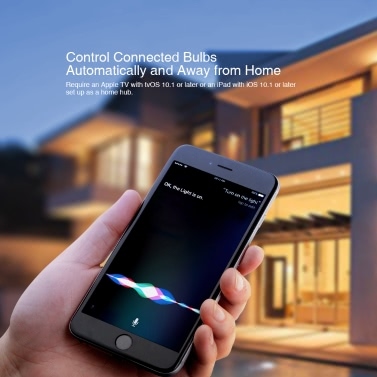 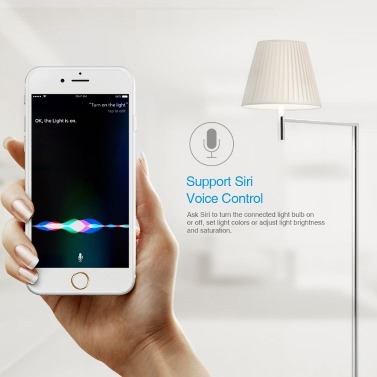 It works with Apple HomeKit, so you can easily control connected bulbs using Siri on your iPhone, iPad, iPod touch, or Apple Watch. 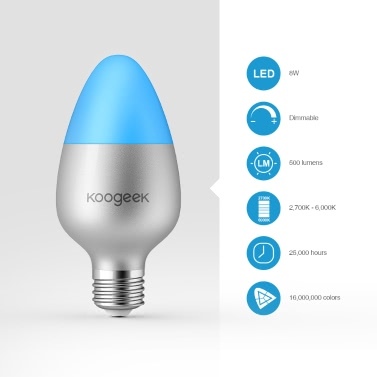 Use only 8 watts and deliver up to 500 lumens of light with an adjustable color temperature from 2700K (warm white) up to 6000K (daylight white). 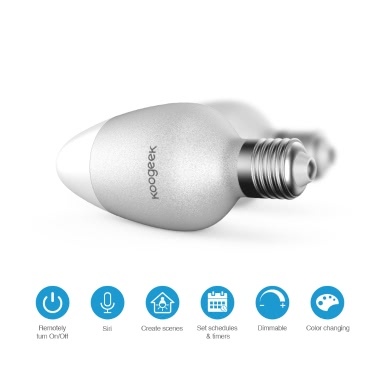 Energy saving with a lifetime of up to 25,000 hours, that is 22.8 years based on 3 hours use per day. 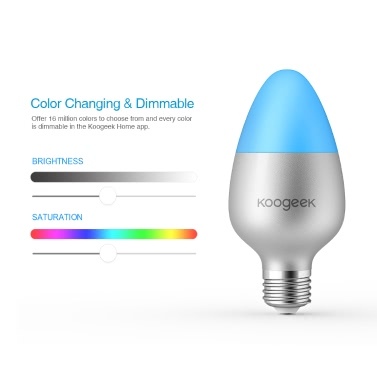 Support the remote control, color changing (with 16 million colors) and brightness adjustment function via the Koogeek Home app or Siri. 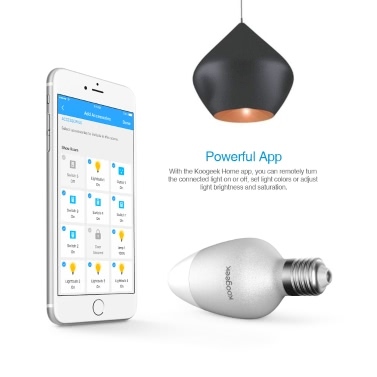 Offer 16 million colors to choose from and every color is dimmable in the Koogeek Home app, you can match the light to your mood and personalize your home.